From Sidewinder to Anaconda in 19 hours, thank you r/EliteDangerous! 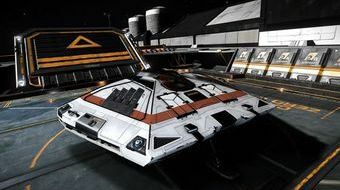 Thanks for all your wisdom r/EliteDangerous! Here's my first non-Sidewinder! Feedback? [DW2] I arrived at Waypoint 10 last night, a whopping 37,000 LY from SOL, and met a CMDR in a Sidewinder, with no shield generator! Made respect to CMDR BooT CZ. New commander save from Sidewinder to Anaconda in less than 4.5 hours. Here's how I did it. Excuse me, Mr Sidewinder? You're in my spot.